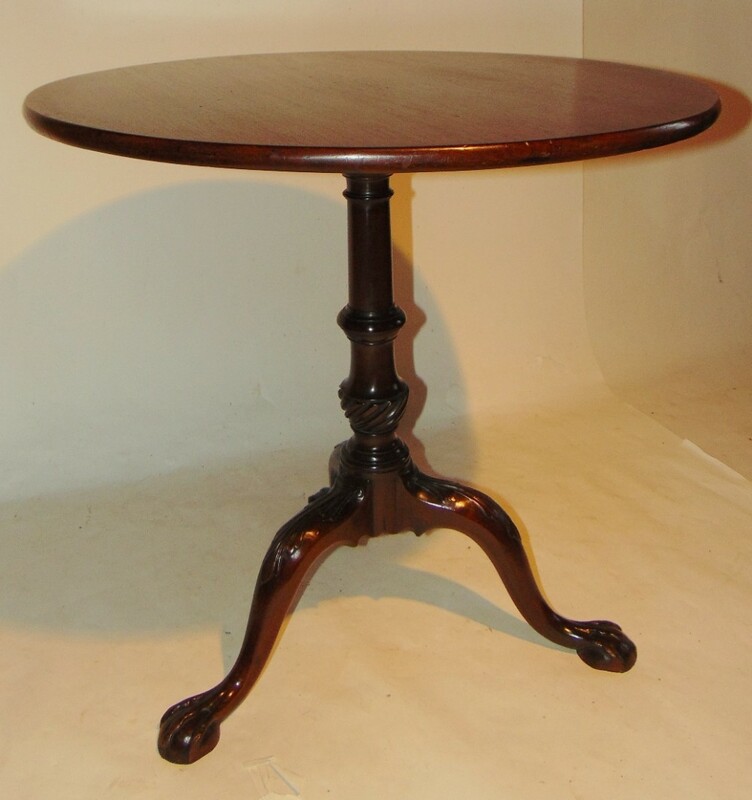 Fine George III Chippendale style cuban mahogany tip top tripod table with circular one piece top and standing on finely turned column with wrythen worl. 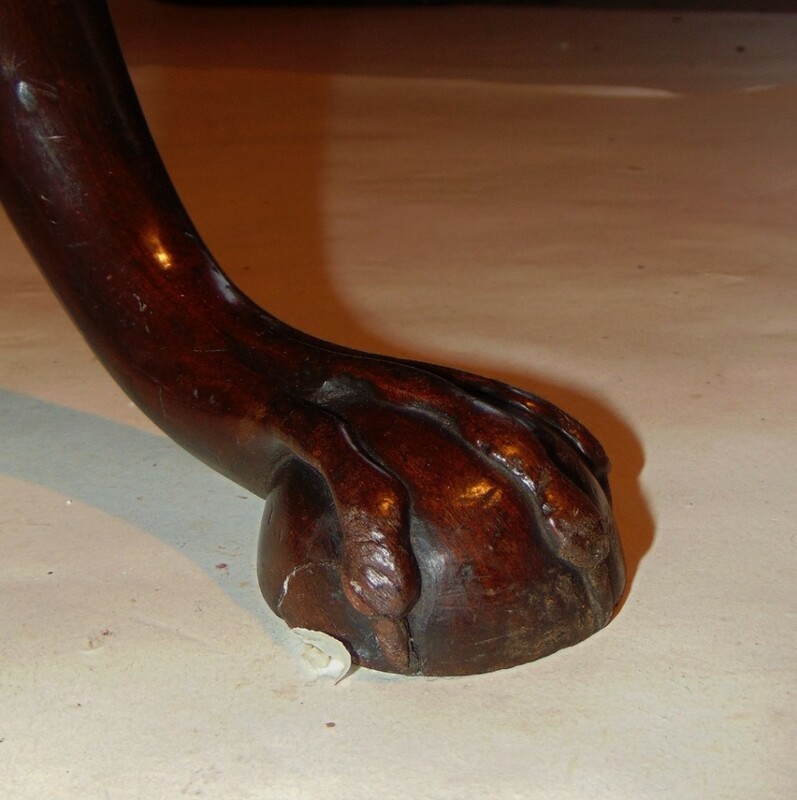 The shaped legs carved with acanthus leaves to knees and having carved ball and claw toes. 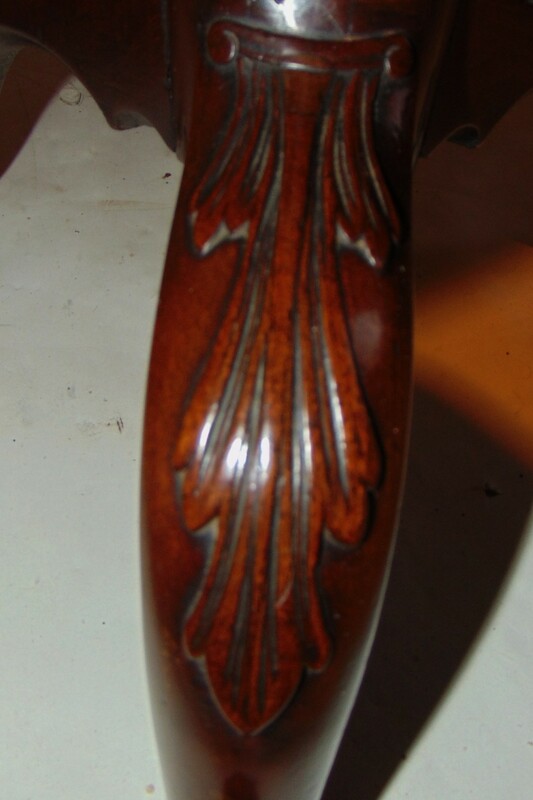 ll in fine original condition with no breaks. 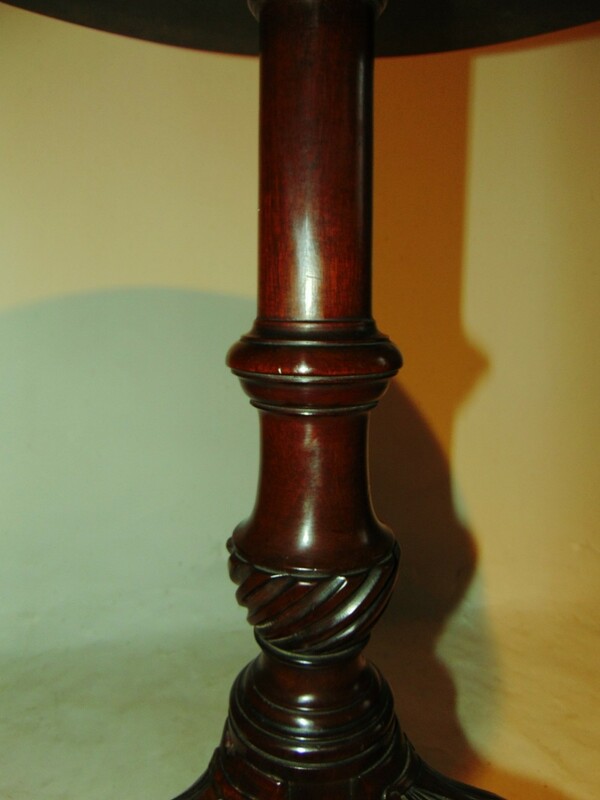 Wonderful rich darkish colour with fine waxed patina. 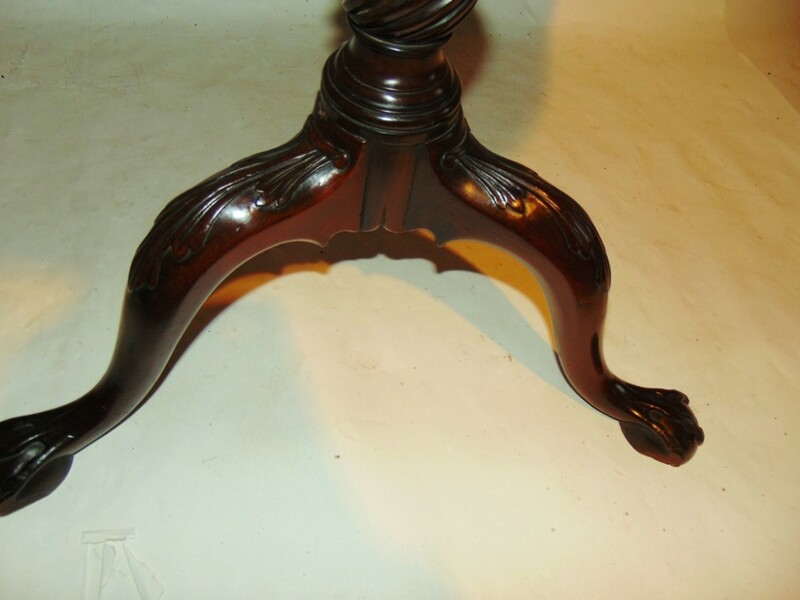 A very fine example of its kind. 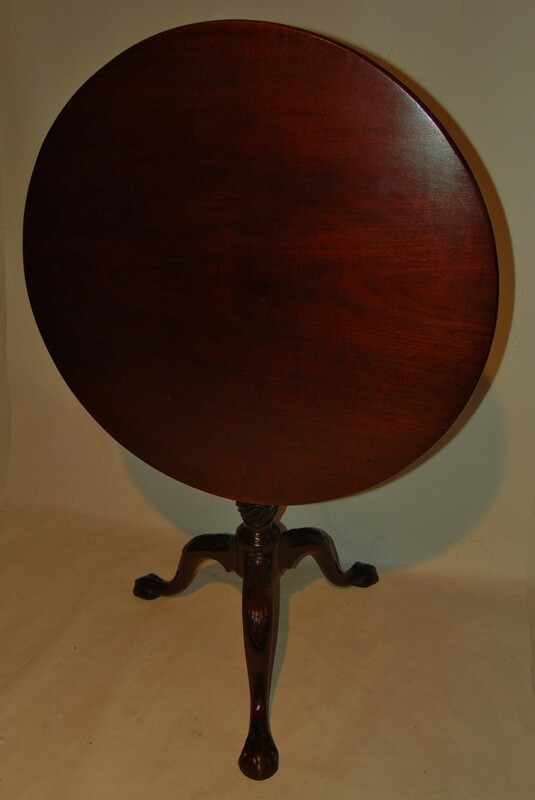 Size; 28" high, top 28" diameter. 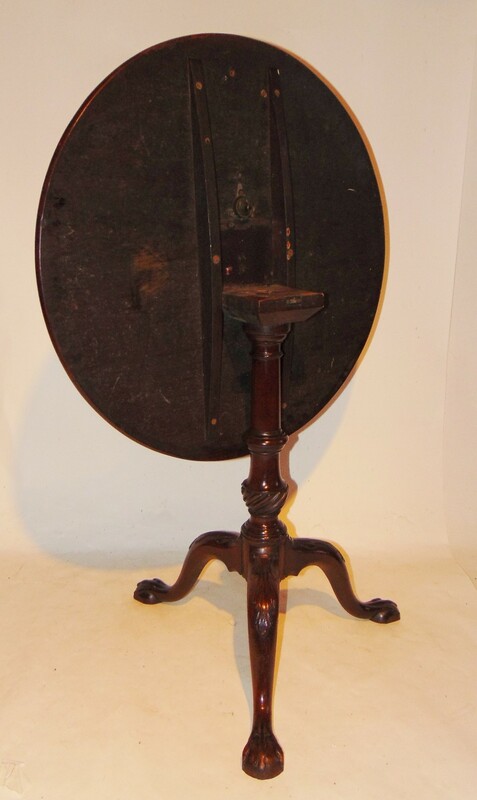 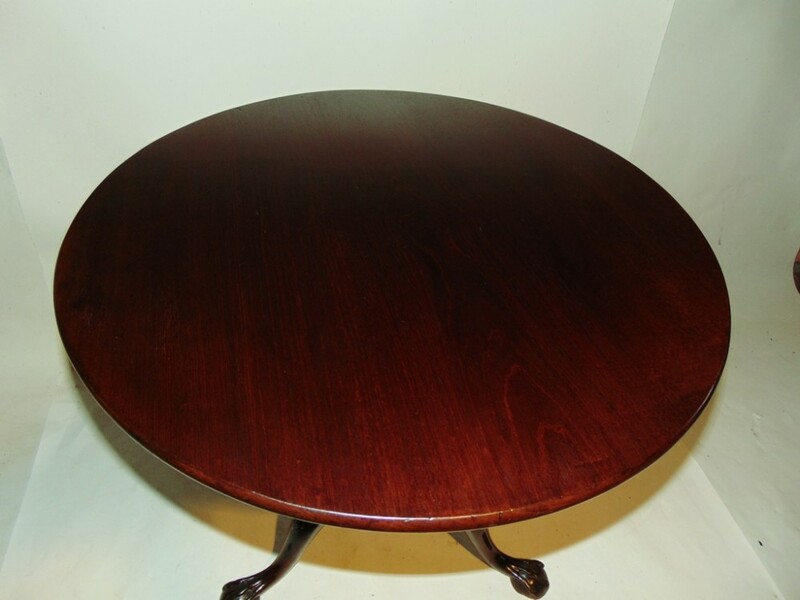 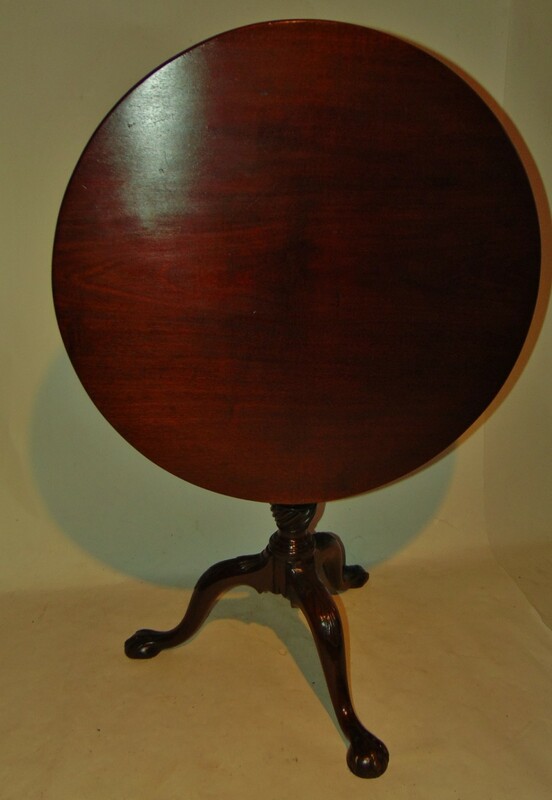 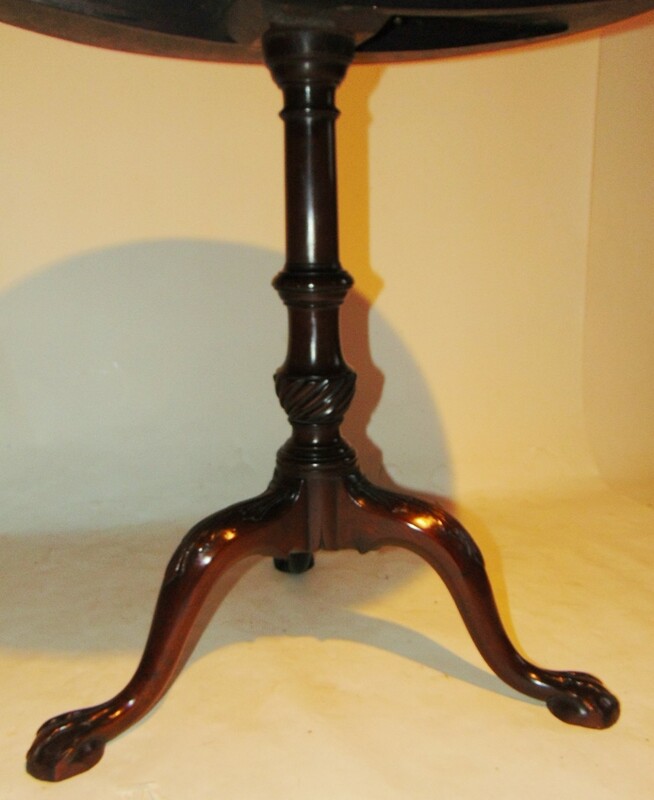 The Georgian Chippendale mahogany tripod table.Circa 1760 has been added to your saved items.